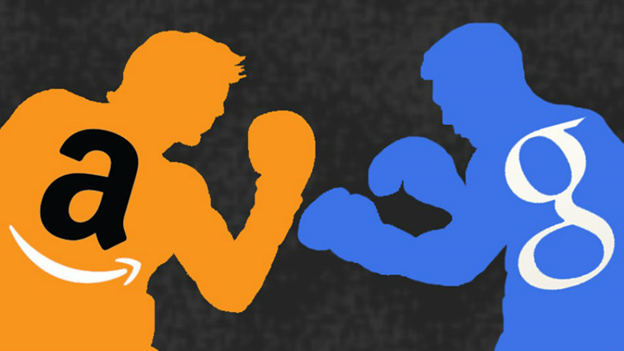 Amazon Vs. Google: Who Is Going To Be The Winner In The Long Term? AMZN is going to be winning war against Google. TINO IQ predicts Google share price should drop at least 23.7% in next 2 years. 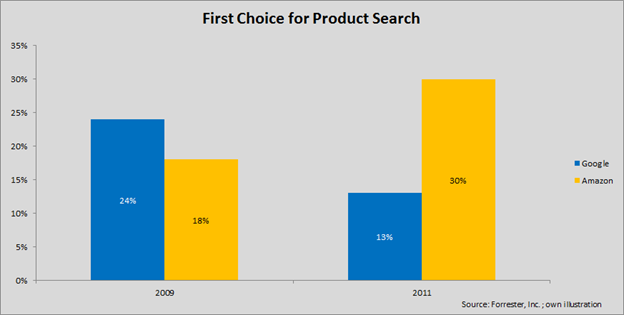 AMZN would move into search space in next 2 years. Amazon and Google are considered as digital giants in the modern era. These two, along with Apple and Microsoft, constitute the list of top top-4 most valuable business organizations across the world. In this article, we are going to do a detailed analysis of Amazon and Google. Firstly, we shall have a look at the revenues of Amazon and Alphabet over the years and business segment wise. 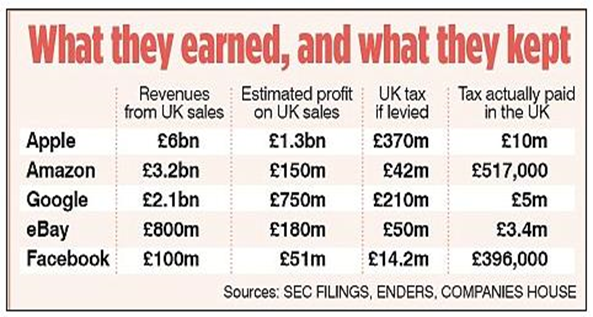 Next, we shall also have a look at the profit margins of both entities in the past 15 years. After that, we shall be looking at what European Commission has in store for these digital service companies. Finally, we shall conclude who is most likely to be the more valuable company in the world. During the year 2001, Amazon had generated revenues of $3.1 billion. During that time Google was comparatively a smaller company as evidenced by its revenues of $0.1 billion in the same year. During the year 2016, Amazon earned $136.0 billion as revenues while, Alphabet, the parent company of Google had reported revenue generation of $90.3 billion in 2016. This is to mention that Google contributes to more than 99% of the annual revenues of Alphabet on an average. The growth rate of both the companies modern giants have been in double digits for the last decade but it is Amazon which has been the leader out of the two. Let us study the constituents of revenue of Amazon and Google. The retail sales and services contribute towards 80% revenue of Amazon while 9% and 2% comes from AWS and others, respectively. Amazon is originally a US based company like Google but is currently investing in international expansion as well. The operating margins of Amazon from its international segment are negative while that from its US segment is positive but lower as compared to Google. AWS as a segment does contribute significant operating profits but it is insignificant considering revenues of the company as a whole. Talking about Alphabet, its Google segment earns 89% and 11% of its revenues from advertising and sales of various products and services, respectively. The Google segment of Alphabet is the most profitable one. The other bets are currently running at losses but might turn profitable in the future. Morgan Stanley has predicted that, even if the revenue from advertisement business of Amazon grows to $7 billion by the year 2020, it would only cover a meagre 4% share of the US online advertising industry. This is to mention that everyone does not agree with this prediction. The CEO of WPP, Sir Martin Sorrell believes that Amazon poses a huge threat to Google when it comes to search. Let us understand with an example what Mr Martin wanted to say. For a mobile brand, the most important place to advertise its products is where a potential customer actively searches to buy a mobile. If that person goes to Google, he/she might just be doing research about mobiles, but it is not the place where one buys the product. But, when the person comes to Amazon, he/she is directly in the market searching for the product he/she wants to buy. So, in Amazon, a potential customer can be converted to a consumer in real, unlike Google. Google’s profitability has been better than Amazon. But, does it have high emotional connectivity with its users like Amazon? During the year 2001, Amazon had reported a net loss of -$0.6 billion. Although Google was a comparatively smaller company, it was in profit in the same year. 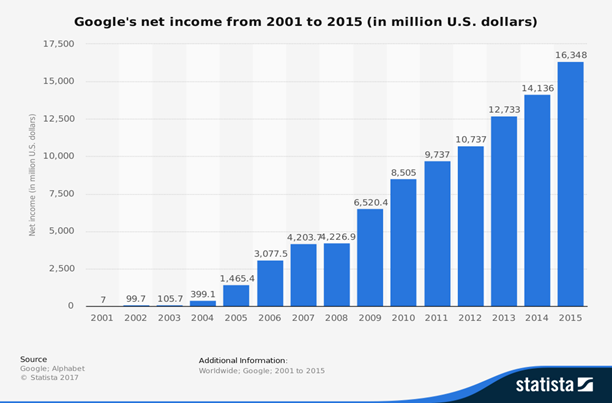 Google’s net profit in the year 2001 was $0.007 billion. In the year 2016, Amazon’s bottom line was of $2.4 billion. In the same year, Alphabet’s net profit was $19.5 billion. In the last 15 years, Amazon’s net profit margins have either been in single digits or in negative. In comparison to it, Alphabet’s net profit margins have been in the twenties in the same span of time. Although, Google stands in a better position in terms of distribution of surplus to its shareholders, does it have an emotional attachment to its user base? The answer is no. Google is the world’s largest search engine provider. It has a wide database which retrieves data from the same and displays to the user whenever a search is made. One can find millions and billions of results on Google typing any keywords on Google search bar. Although Google provides free services to its users there is a hidden cost to be incurred by the latter to use former’s services. Google captures the actions of the users indirectly whatever they do on the web and creates profiles of them. The clientele of Google is its users whose data Google sells to various advisers across the world for earning its revenues. This goes to show that Google has search data and it does not work closely with its users. Amazon is an e-commerce giant which sells diverse products of billions of brands at reasonable prices on its website across the world. Whenever a person wants to buy something on Amazon, he/she has to make an account over there and place the order. This goes to show that Amazon keeps the data of its users in a disciplined and direct manner. The customer care service of Amazon is available free of cost for its users, throughout the day for 7 days in a week. This goes to show that Amazon works closely with its customers thereby generating customer loyalty which keeps growing as time passes. What can go wrong for Google and Amazon in the long run? The European Commission is going ahead with its plans to revise the tax rules for the technology companies so as to increase the government’s revenues. The European Commission is currently figuring out ways and means to collect more tax from the companies which have no physical place of business in Europe but operating online. The commission has recently published a report stating that the technology companies have paid less than 50% of the tax that is paid by the bricks-and-mortar businesses. The report further stated that a digital service concern operating internationally pays tax @ 10.1% in the European Union while the rate for the traditional technology companies is 23.2 %. The commission is also thinking to impose a tax on the online tech companies on their turnover rather than charging tax on their profits. As per the said report, if the tax is charged on revenues, then the post-tax profit of both the companies will be significantly affected. The situation may seem like as if the post-tax profit of Amazon might be affected more. 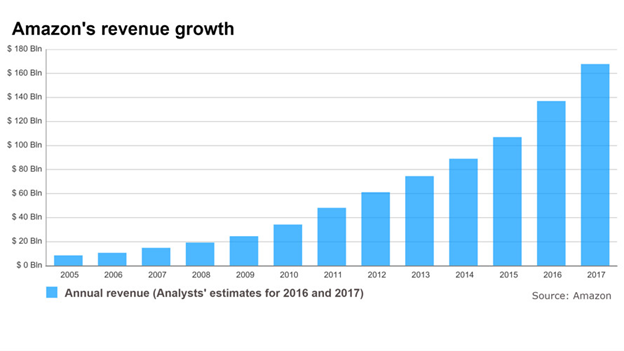 But, this is also to be considered that Amazon’s revenue has been way more than Google over the years and it is most like to keep growing in the future. 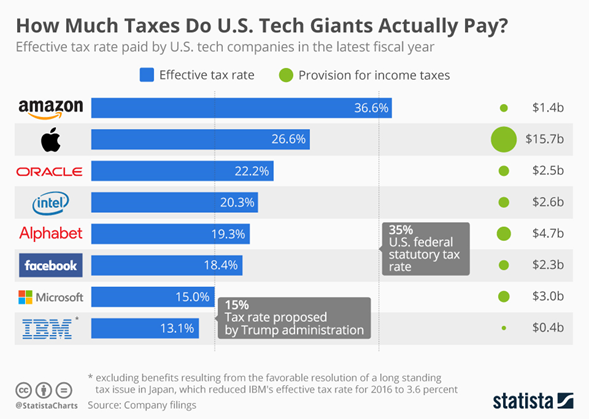 So even if Amazon has to pay a hefty amount every year as corporate tax, its residual profit is not going to decrease significantly. Today, Apple is the company with the highest market capitalization the world. Google comes second, Microsoft at third and Amazon at the fourth position. Between Amazon and Google, who is most likely to be the long-term winner? If we have a look at the stock charts of both the companies, they have been bullish for the last 5 years. It seems like the momentum will continue in the future as both the companies are expanding its size with time. This is to mention that the stock price of Amazon is higher than that of Google irrespective of the fact that the former is smaller in size. This goes to show that Amazon is growing at a faster rate than Google and investors want to pay more for Amazon’s share than Google. Amazon has its presence in more than 180 countries in the world while Google has its presence in the entire globe. Therefore, Amazon’s scope for growth is still more than that of Google. On the ground of revenue, Amazon is the clear winner. But, comparing on the basis of net margin, Alphabet, i.e. Google is winning. Can Google get the better of Amazon in revenues in the future? Probably it is not going to happen. The revenue growth of Google is moving behind Amazon. But, it is not going to be easy for Google to match up with Amazon. Amazon is an e-commerce giant and it focuses on shareholders’ wealth creation through the generation of revenues i.e. through promoting sales via customer satisfaction. While, in case of Google, it focuses on generating high net profit for adding value to its shareholders. Although the intention of both the companies is same, Amazon operates its business by keeping close contact with its customers for gaining their loyalty, while Google doesn’t. Therefore, Amazon has an edge over Google to be more successful in the long term.